* Please note that some polycarbonates can go cloudy when polished. If in doubt please make contact first before making your purchase. 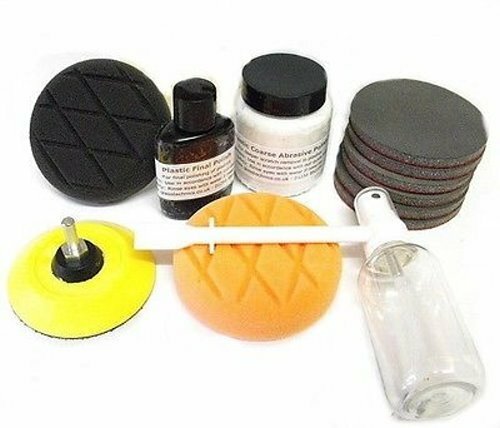 The following basically cannot be polished -PP (polypropylene), PPO (polyphenylene oxide) and TPE (thermoplastic elastomer) PUR (polyurethane plastic rigid) and TPUR (thermoplastic polyurethane elastomer). 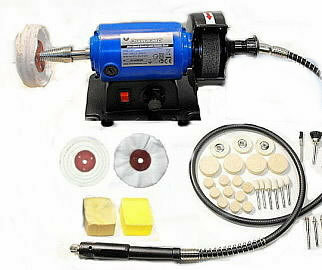 1 x Silverline or ProMax Mini Bench Grinder / Polisher. 1 x 3" x 1/2" Swansdown Soft Cotton Polishing Mop. 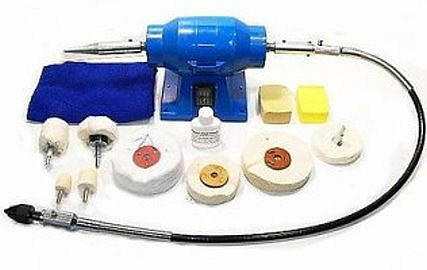 (max speed 2500 rpm). 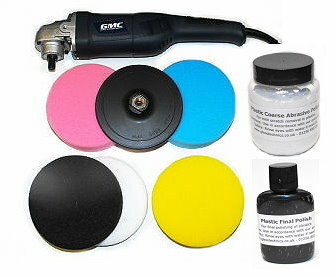 1 x 10pc Set 1/2" Polishing Felts. Includes 3.2mm Mandrel. 1 x 6pc Mounted Felt Set. 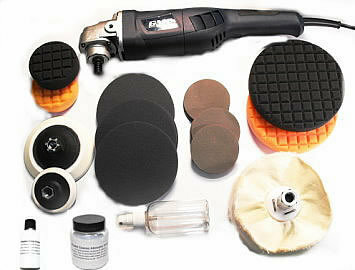 Ideal for polishing internal areas. 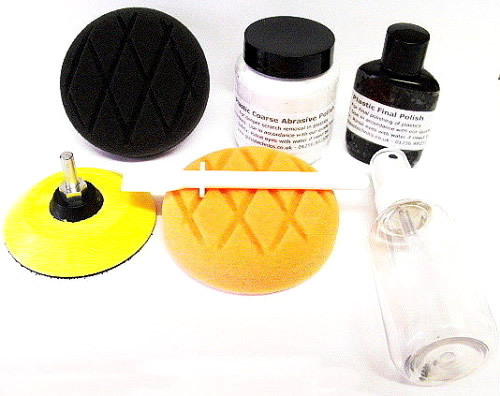 1 x 4pc Set 1" Polishing Felts. 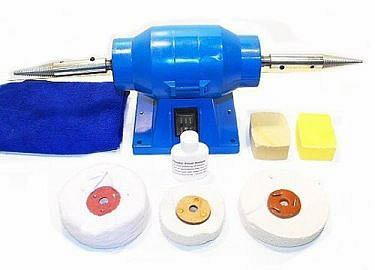 Includes 3.2mm Mandrel. 1 x 3" x 1/2" Loose Fold Cotton Polishing Mop. 1 x 4" x 1/2" Loose Fold Cotton Polishing Mop. 1 x 4" x 1" Soft Cotton Polishing Mop. 1 x Flexible Drive Shaft (Fits on the right). 36" (915mm) total length. 6mm drive shaft. Fitted with a 0-6mm chuck. 1 x 38mm Diameter Cylinder Cotton Polishing Mop. 1 x 60mm Diameter Dome Cotton Polishing Mop.